Travel virtually and win a real trip to Riviera Nayarit for you and five friends to experience the magic of the destination known as Mexico’s Pacific Treasure. It’s this easy to enjoy our destination thanks to the FriendTrips campaign, which has been launched by the online travel operator Expedia. The campaign is aimed to end consumers and is the result of a joint strategy with Villa La Estancia Riviera Nayarit Beach Resort & Spa that is being promoted on social networks. Expedia is the most popular travel brand in the world, and one of the most reliable resources for consumers. Their microsite dedicated to Mexico has a directory with over 800,000 hotels around the world. Expedia receives approximately 59 million unique visitors per month through its different websites. 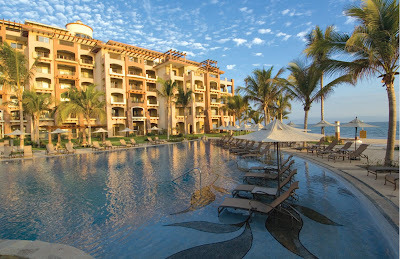 In a strategic alliance, Riviera Nayarit is participating with Expedia and Villa La Estancia Riviera Nayarit Beach Resort & Spa in the FriendTrips game, which Expedia launched on Facebook to generate a great amount of information on Expedia and the destination in other social networks like Twitter. FriendTrips is a Facebook application that allows users to compete in a virtual game in which each participant designs a trip with five friends to several preferred destinations, one of which is Riviera Nayarit. Users can earn points by publishing photos, adding friends to the team, telling travel stories about the selected destination, commenting and rating photos from other contestants or inviting friends to fill their virtual plane, as well as riding in other friend’s planes. All these activities are then posted to the different users’ walls. At the end of the competition, “flights” that receive the largest number of points will earn a trip to Riviera Nayarit valued in an approximately $65,000 USD, among other prizes. The winner and his or her five friends with confirmed reservations on the winning “flight” will spend six days in 6 deluxe suites in Villa La Estancia Riviera Nayarit Beach Resort & Spa, with unlimited golf and Spa services. One of the main objectives of the Convention and Visitors Bureau (CVB) of Riviera Nayarit is to increase the online presence of our destination, due to the fact that the Internet is becoming increasingly influential in the purchase decision of international travelers, and is becoming the largest growing factor for hotel reservations. In this sense, this alliance is an important asset to promote our destination.